XENIA — A Dayton woman allegedly involved in the shooting of a Fairborn Hampton Inn clerk pleaded guilty to involuntary manslaughter Jan. 31 in Greene County Common Pleas Court. Hotel employee Andrew Day, 29, was working behind the counter when he was allegedly shot and killed March 7, 2018 during a robbery. Morgan Klink, 26, was indicted for murder, involuntary manslaughter and aggravated robbery, all first-degree felonies, in August 2018. Her bond was set at $150,000 with no 10 percent. 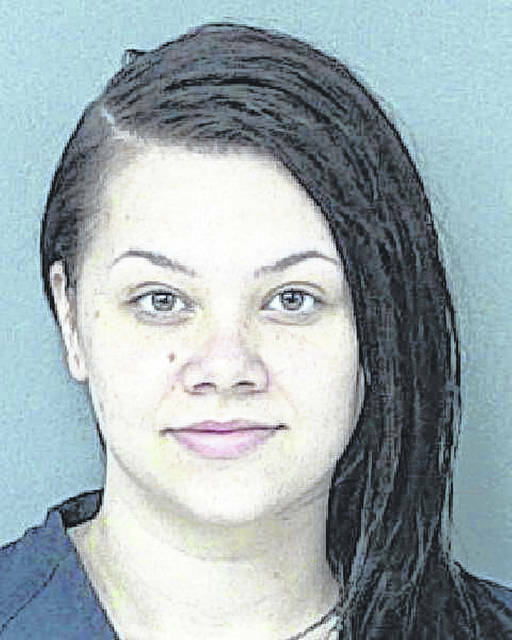 Klink had a jury trial set to begin Monday, Feb. 4, but court records indicate she took a plea deal Jan. 31, pleading guilty to involuntary manslaughter and aggravated robbery with firearm specifications. In consideration of Klink’s guilty pleas, the state dismissed the murder charge with its specification, records show. A sentencing date has not yet been set. According to a plea agreement report, the state will recommend the maximum prison sentence of 25 years for Klink. Others indicted in connection to the case are Disean Graham, 21, of Dayton, and Michael McClendon, 25, of Dayton. Graham pleaded not guilty to aggravated murder, murder, two counts of aggravated robbery, and kidnapping in September 2018 and is being held on a $500,000 bond. A jury trial for Graham is scheduled to begin Monday, March 4. McLendon pleaded not guilty to aggravated murder, aggravated robbery, felonious assault, firearms specifications and repeat violent offender specifications in May 2018. The charges make him eligible for the death penalty. He was given no bond. McLendon was found incompetent to stand trial and ordered to undergo competency restoration treatment. Indicated in September 2018 court records, he will return to Greene County Jail upon completion of treatment. Judge Stephen Wolaver is handling these three cases.